It’s for anyone who is keen to run under 25 minutes for 5k. Of course, this covers a wide range of runners; for example, a new runner who has just run their first 5k in 27 minutes and wants to target 25, or, an experienced runner who has been just outside of 25 for years and feels they need more structured training to make the time. The type of training that these runners do will be as varied as the runners themselves. Nevertheless, running under 25 for 5k requires the same pace for any and every runner. That’s what this training plan is all about: training to develop the ability to run at the required pace for 5k. 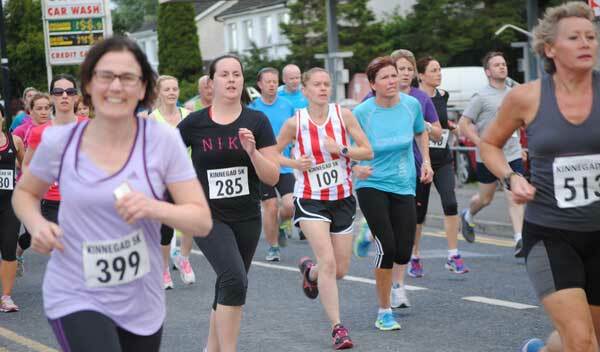 The 5k race is one of the most popular distances for both new and experienced runners. For the beginner, the 5k is very often the first race, the first real assessment of running fitness. For the experienced runner, the 5k is a race that can be added into a training schedule without necessarily compromising the rest of the week’s training. And again, it serves as a great marker of current fitness. It’s a race that can be run frequently, and of course with the fabulous initiative of Park Run, the opportunities to find a 5k race have never been greater. Like many races, the time one can achieve categorises a runner. Sub 15? That’s serious running, just over 2 minutes outside of world record pace and will put you roughly in the top 200 of British athletes, if you are female, then you’ll be top ten all time in Britain. Sub 20? The benchmark many club runners use to determine who is a real runner. Sub 25? Very often the first real target many runners have after getting the running bug. Sub 30? Similar to sub 25, and maybe a more common target for new female runners. Like it or not, these 5 minute steps signify a standard most runners understand. They don’t relate to any significant fitness standards. Nevertheless, they exist and provide a focus for many runners: old, young, male, female, beginner or seasoned veteran. The 25 minute 5k also requires nice round numbers for pacing. If you can run 8 minutes per mile for 5k then you’ll make 24:51. If you can get to a running track, then it’s also conveniently 2 minutes per lap (ok, I’ll admit, 1:59). Still, 2 mins per lap will get you to 5k in exactly 25 minutes — all you need is to find a second or 2 in the last 50m to sneak under. This is an eight week plan and it assumes that you can actually run non-stop for 5k or 3 miles and do it reasonably easily in under 30 minutes. Because not one size fits all, there are parts of the plan that will require your own concoction. For example, if you are of more advanced years you might benefit from more recovery between sessions, or perhaps your lifestyle determines that you cannot run as often as some others. Regardless, the key sessions are included and these should be built upon according to your own circumstances. If you can get to a running track, great, some of the sessions are ideally suited to track training. However, it’s not vital and the sessions will work away from the track. It will, however, be very useful for you to find a flat, measured km. This can a be a section of road, path, or other easily accessible area for you. You’ll use this (or the track) to measure and monitor your training. Yes, you’ll have to get used to running when fatigued. Not the same kind of fatigue experienced in the latter stages of a long run and especially the marathon, when glycogen stores are dwindling and the muscles and joints are screaming at you to slow down or stop. No, this fatigue is more to do with running out of that other vital energy fuel, oxygen. Gasping-for-air type fatigue, and you’d better get used to that feeling to run to your potential at 5k. Yes, it hurts. Indeed, the degree of discomfort you can endure might make the difference between running under 25 minutes or over 25 minutes. The training plan will develop your ability to run faster regardless of any fitness improvements. We can use pain as an indicator to how hard we are running. If we develop our ability to endure, or even embrace pain, we will run faster. The brain is very good at slowing us down if it thinks we are heading for trouble, and we won’t convince it we’re not whilst on the run. However, diving repeatedly into a state of discomfort, and then recovering will teach it not to be so cautious. The plan won’t work for everyone; if you are a long way off the target, then perhaps you’re already running to your potential. However, most of us can improve from where we are at even if we’ve been running for many years. If you cannot manage 5k in less than 30 minutes, then you’ll be better off following our sub 30 5k plan. Of course, as we get older it becomes increasingly difficult to run fast. And, we have to be realistic; if you are a man over 90 or a woman over 80 you’ll be breaking a world record to run under 25 minutes. How well this plan works for you will depend on a number of factors. The biggest gainers are likely to be young, comparatively new to running, and determined. So, lets revisit the requirements. It’s simple, each km must be run on average faster than 5 minutes. And this is a good place to focus your initial assessment if you have no 5k history. Find or devise an accurate, flat 1km of firm, even ground. Warm up with some gentle jogging for 10 minutes and see how long it takes you to run that 1km. Try hard. Here’s a table with very rough predictions of 5k time based on your 1km time. This will help you to determine how close to your goal you are. There will be some people in the 4.30 category who will be unable to improve enough in 8 weeks to break 25 minutes. There will also be some people in the 5.30+ category who manage to accomplish it. It depends who you are, and where you’ve been on your running journey so far. As with any training plan, you should start from where you are now; training according to current ability not your goal time. By all means, have ambitious goals, but plan your training from here to there, not the other way round. You can calculate your training paces from a past performance using the pace calculator below the schedule. The schedule also includes ‘easy’ or ‘recovery’ sessions. These are important, they still produce a training effect even though they can be done easily. There is some flexibility here, the training plan is not written in stone, it is for guidance. The purpose is to get you running the key workouts to develop your 5k running. Some people will do more, some less depending on ability, experience and of course lifestyle. Although the sessions are given on specific days, there is no requirement to do them on those days. It is however important to allow your body sufficient time to recover after the key workouts; this become more important for those new to running and those of more advanced years. How long is the endurance run? The endurance run is given as 3-8 miles (5-13k). You should run according to your ability and experience. A new runner would be foolish to run 10 miles without some groundwork. Ideally, you’ll progress your endurance during the schedule; by approximately half a mile or 1km each week. Experienced runners can do more, but not so much that it impacts on the quality of the Tuesday session. The usual rules apply: don’t do too much too soon and if you get any niggles or injury onset then back off until you have it under control. The 5k is an endurance event, so training to be durable is a prerequisite; we need speed, but we also need to keep it going for over 5k or 3 miles. There are cross-training and optional running days shown, again, these can be incorporated according to your usual training regime. You’ll see warm up and cool down as part of the speed sessions. These are strongly recommended. The warm up helps get your body and mind prepared for running faster than normal. The cool down helps bring your body back to restful state gradually and (from our experience at least) will help ease out any stiffness resulting from increased effort. We have a page offering guidance for warm up.